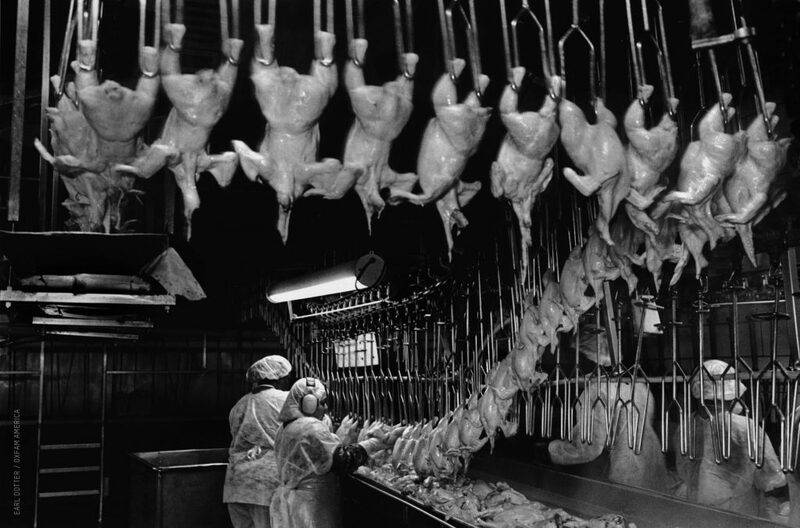 I wrote earlier this month about a court decision in the Mar-Jac case restricting OSHA’s ability to expand inspections at poultry plants — even when the company’s log shows high rates of injuries and illnesses — despite the industry’s record of unsafe conditions. When conducting an inspection about a specific incident, you may recall, OSHA is only allowed to look at factors surrounding the incident and anything within the sight of the inspector. For that reason, when an OSHA inspector requested to inspect a worker’s locker where his tools were stored, Mar-Jac told the inspector that he could only walk through the plant if he agreed to wear a cardboard box over his head to blind him to any safety hazards. The Atlanta Journal Constitution published an article earlier this week about the court decision and its effect on OSHA. So who is OSHA there for? The goal of an OSHA inspector is not just to “enforce” the law. The law is not the end. The law it the means to the ultimate end — which is to protect workers. So the manager may be correct, they are not there for “us,” if by “us” he means managers and not the company’s workers (who, I guess, are not part of “us.”) And, of course, OSHA is not there for “us,” if he believes that managers have no interest in maintaining a safe workplace — with, as I just said, is the whole point of enforcement. So if those reviews are useful, and the company actually implements the results of those reviews, they should have no problem allowing OSHA inspectors to wander anywhere they want to go in a plant. But not according to Stine. Or, Mar-Jac workers and OSHA inspectors might ask, why would you fear multiple fines when you’ve allegedly found all the problems and fixed them yourself? And if you haven’t fixed them, why don’t you deserve multiple fines?